February 20, 2017 — From well-loved jeans to linens, sneakers and T-shirts, cotton is woven into the products we love. Indeed, it is the most widely used natural fiber on the planet. Its use dates back to approximately 3500 BC in India and 3000 BC in Peru. Cotton plants — relatives of okra and hibiscus — are cultivated on every continent but Antarctica. All together, they produce some 20 million metric tons (22 million tons) of raw material for soft, breathable and absorptive textiles and other products each year. But our affinity for cotton is facing bumpy roads ahead. Increasing temperatures, drought, limited freshwater and unpredictable rain patterns are expected to alter cotton plants’ ability to grow and produce. By 2100, given the slowest climate warming models, yields could decline in the U.S. by 30 to 46 percent. As a result, cotton producers around the world are working to get a handle on what climate change means for their crops and what they can be doing now to minimize problems ahead. When we think of climate change, the first thing we often think of is a change in temperature. For cotton, temperature change is a mixed bag. In cooler regions, higher temperatures could benefit cotton yields by providing a longer growing season. But where temperatures already reach the upper limits of what cotton can withstand, cotton production could suffer. Even though cotton can grow in hot climates, its ability to survive rising temperatures depends on water availability and extreme weather patterns. At higher temperatures, water becomes crucial, especially during flower and boll development. An estimated 73 percent of cotton today is grown with full or partial irrigation. An example of the devastating effects water insufficiency can have on cotton is the 2011 drought in Texas, which resulted in 55 percent of cotton fields abandoned and a subsequent financial loss of roughly US$2.2 billion. In fact, a report published by the International Trade Centre calls out “reduced availability of water for irrigation, in particular in Xinjiang (China), Pakistan, Australia and the western United States” as a notable impact of climate change on cotton. On the other end of the spectrum, cotton’s vertical tap root makes it susceptible to damage from floods and unexpected heavy rain because waterlogged roots can’t uptake adequate amounts of nutrients and oxygen from the soil. This slows cotton plants’ growth and development. Higher carbon dioxide levels in the atmosphere affect cotton production also. CO2 boosts cotton’s growth, which in some environments, might be beneficial. But increased growth will require more water and nutrients. Not only that, but, CO2 boosts weed growth as well and is predicted to reduce the effectiveness of herbicides in controlling the competition. Cultivated on every continent but Antarctica, cotton faces a spectrum of challenges as a changing climate alters temperature and precipitation patterns around the world. Map courtesy of Peder Engstrom / EarthStat.org. Click to enlarge. Insects and diseases pose additional threats as higher temperatures create conditions where both flourish. Insects can adapt to rising temperatures more easily than plants, and their metabolism could increase, speeding up reproduction rates. Also, as temperatures warm, insects are less likely to enter a winter period of suspended development (diapause). And higher CO2 concentrations will likely increase the severity of plant diseases, while “[c]hemical control methods may also become less effective due to the possibility of faster decomposition of chemicals under higher temperatures,” according to the International Trade Centre report. Scientists and farmers are developing a variety of strategies and solutions to reduce the negative effects of climate change on cotton’s growth and production. Breeding cotton for heat tolerance and resistance to drought, pests, weeds and diseases is an essential part of a multi-level solution. “In the face of global climate change, it has become ever more critical to develop cotton varieties that are tolerant to the combination of heat and drought stress,” says Michael Gore, associate professor of plant breeding and genetics at Cornell University. For example, Gore says, breeders might select for plants that can use water efficiently during extended droughts and produce viable pollen and bolls even during heat waves. Additional solutions include breeding cotton for more extensive root systems to increase water uptake during droughts. 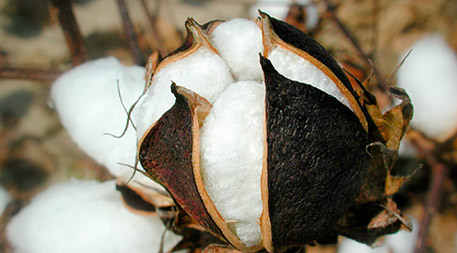 Other projects might utilize the genes of wild, perennial cotton to improve the ability of cultivated cotton to cope with climate change. A paper in PLOS ONE co-authored by researchers Geo Coppens d’Eeckenbrugge and Jean-Marc Lacape of the French agricultural research organization CIRAD describes how wild cotton varieties adapt more easily than cultivated cotton to unpredictable environmental changes, such as extreme temperature and water fluctuations. With the advent of genome sequencing, wild, perennial cotton plants might prove useful in breeding cotton to better survive unpredictable climate changes ahead. Transgenic technology also holds promise as a method for boosting cotton’s ability to tolerate heat or drought on cue — when the stress occurs. Management practices such as minimum tillage and cover crops can help mitigate the effects of climate change because these methods allow farmers to reduce water loss, especially in non-irrigated fields. In one study, no-till practices increased cotton yields, on average, by 9 percent. Although the perception is that no-till methods require more herbicides, a project in Swaziland by the Food and Agriculture Organization of the United Nations demonstrated that herbicides could be reduced or omitted altogether. 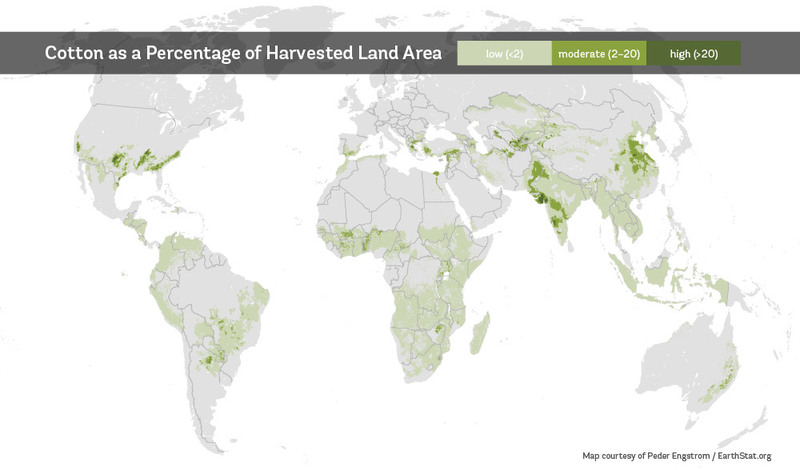 Remote sensing could play a role in future management, too, through the use of unmanned aircraft systems to monitor cotton for drought and heat stress. Agroforestry could potentially assist with the regulation of water availability from unpredictable rain patterns. 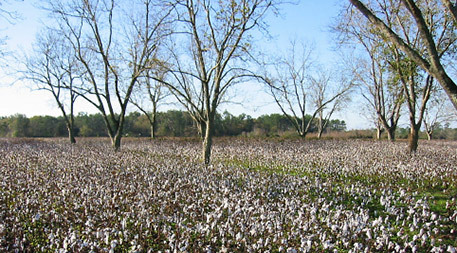 In a study conducted by the University of Florida, cotton and pecan trees were grown in an intercropping/alley-cropping environment, where crops are grown in alleys between widely-spaced trees. Study author Shibu Jose, director of the University of Missouri’s Center for Agroforestry, says the pecan trees can help water filter into the soil and also help reduce the danger of exposing cotton plants to too much water in wet areas. “We also observed that cotton germinated faster under shade in the alley cropping than in the open,” Jose says. But even with innovative breeding and sustainable management practices, the future of cotton yields under climate change remains uncertain. The textile industry, however, has taken on the challenge of reducing our need for raw cotton fiber. For example, Levi Strauss & Co. has partnered with Evrnu to create the first pair of jeans made from recycled cotton T-shirts. AEON ROW sources fabrics from cotton-poly blend “revived yarn,” in the words of founder Griffin Vanze, while tonlé utilizes fabric discards from factories to make handmade clothing and accessories. Yet an often overlooked solution to the potential of diminishing raw cotton in the supply chain is mending clothes and other textiles before discarding them. Both Eileen Fisher and Patagonia provide instructions on their websites for repairing damaged soft goods in addition to textile recycling tips. When we think about climate change, cotton isn’t generally the first thing that comes to mind. But given the versatile fiber’s prominent role in our global marketplace and its many unique and valuable traits, its continued success is an important consideration. Through innovative breeding, sustainable management practices and recycling technology, foresightful farmers, scientists and industry leaders are working to ensure that cotton has the opportunity to play as a big a role in our future as it has in our past. Editor’s note: Laura Routh produced this feature as a participant in the Ensia Mentor Program. 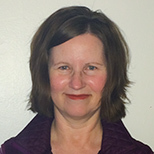 Her mentor for the project was Elizabeth Braun. Cotton has other things to commend it. It is is not made using oil, as synthtetic fibres are, and does not release toxic fibres into the environment when washed.